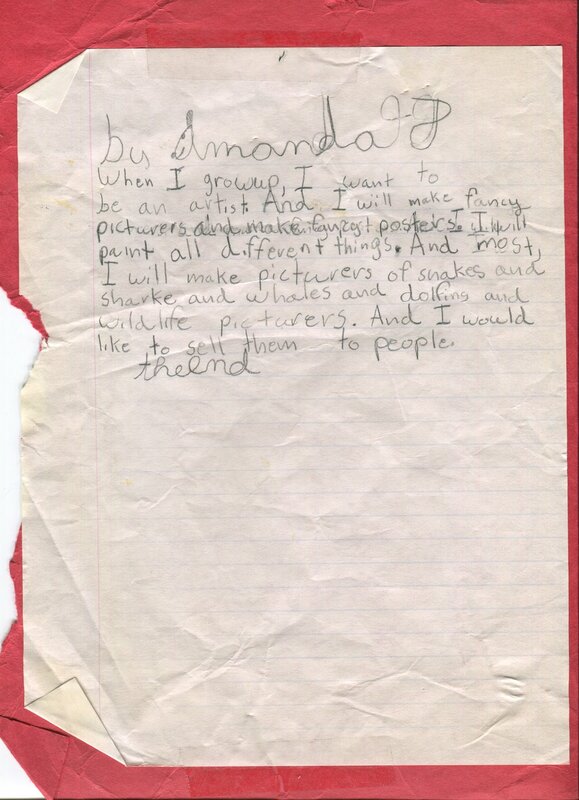 A “What Do You Want to Be When You Grow Up” assignment from Second Grade. 1992. Based in Seattle, Washington, but Alaska-raised, I create drawings and paintings of some of our rarest and most elusive flora and fauna found in the Pacific Northwest. My work is strongly connected to my earliest art education, which took place in a Native village called Brevig Mission in Northwest Alaska. There I was educated by Inupiaq carvers, painters and drawers who told me the stories behind every element of our natural world – and their influence on the Inupiaq culture - which would find their way into the artistic renderings. Close proximity to creatures and nature provided me with background knowledge in the natural sciences, knowing Native artists provided an example on storytelling through visual art, which I have followed over the years. As a natural science artist and illustrator, I strive to bring elements of the wilderness into the viewer’s every day. Whether the viewer finds a moment’s escape from the commotion of city life in the flora and fauna depicted, or if the art elicits curiosity in the indigenous species found within the Pacific Northwest. After nearly a decade as an academic, I decided to use my self-taught talents to change my career path. In 2016, I graduated from the Natural Science Illustration program at the University of Washington and have since started showing my art around the Pacific Northwest. I’ve also had the opportunity to take part in community beautification projects, such as nature- and wildlife-themed murals in the Seattle-area. Please free to contact me with any questions or commission requests. I am always happy to hear from the art-loving community.